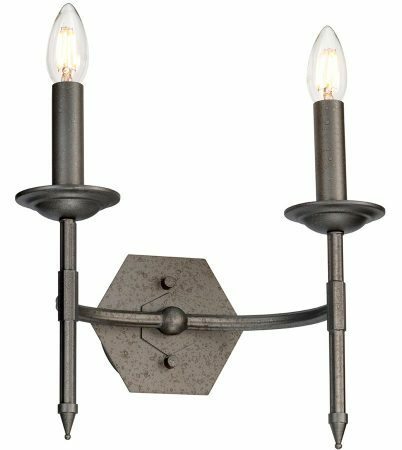 This Elstead Crown 2 lamp twin wall light in rustic iron gate finish is traditional and features a hexagonal ironwork mount and two tall candle style lights, with metal candle pans, candle sleeves and spiked lower finials. Finished in a hand painted grey, this ironwork wall light is stylish, functional and bright. The new Crown range is designed in Britain and inspired by Royal regalia and imagery. Key features of the metalwork include unique hexagonal tubing and detailed fretwork bands, finished with a grey hand painted finish that includes a subtle water droplet effect. The range also benefits from compact heights, ideal for properties with lower ceilings. Ideal for a traditional, Gothic or rustic dining room, hallway, bedroom or living room wall. 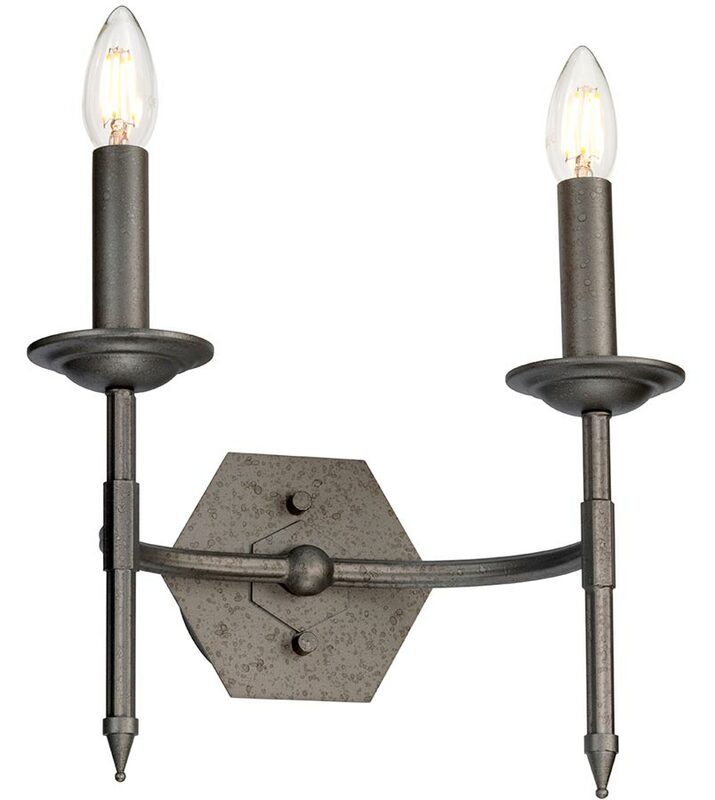 There are matching fittings available in the Crown iron gate finish lighting range; please see below for the complete collection. This rustic design is supplied by Elstead Lighting, a British company that specialise in the manufacture and distribution of quality decorative lighting such as the Crown 2 lamp twin wall light in rustic iron gate finish you see here.